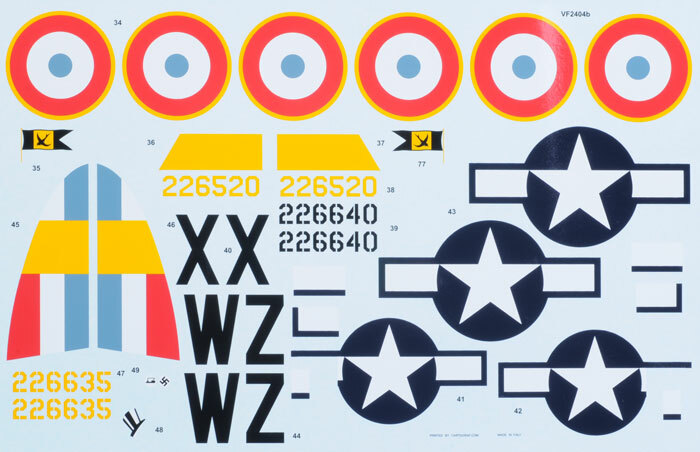 Contents and Media: Main parts in grey plastic; 12 parts in clear plastic; six parts in grey vinyl; markings for six aircraft. 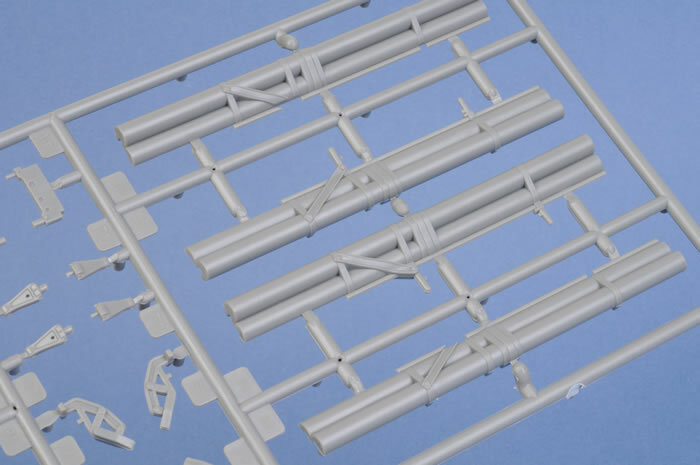 Disadvantages: A few moulding imperfections; misaligned tyre tread pattern. 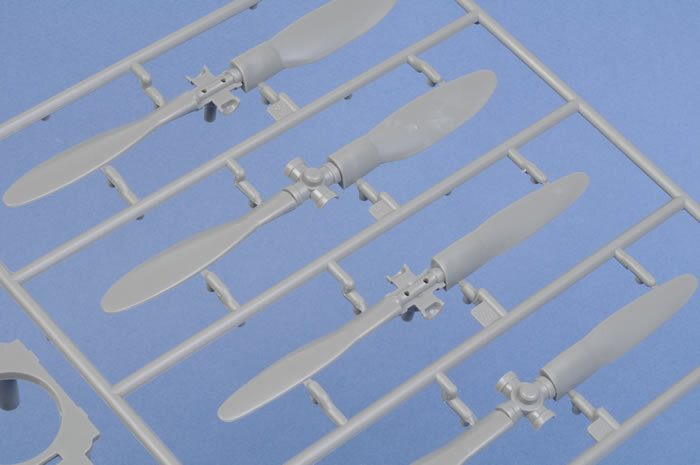 Vintage Fighter Series' second new-tool kit is a 1/24 scale P-47D Thunderbolt. 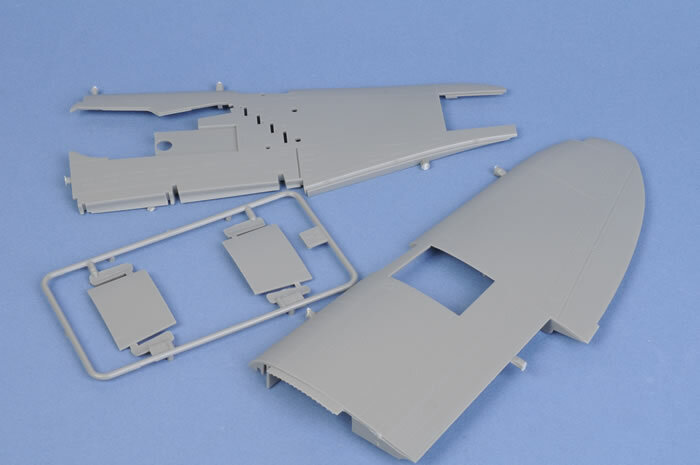 The P-47 was a big aircraft, so it is not surprising that the model is packed in a very large box, filled to the brim with parts. 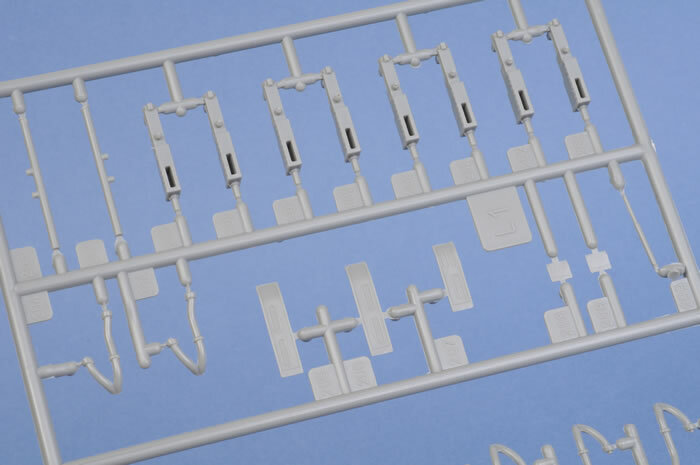 The grey plastic parts are supplemented with twelve parts in clear plastic, six parts in grey vinyl and markings for six varied subjects. Surface texture is smooth, with just a hint of eggshell satin. 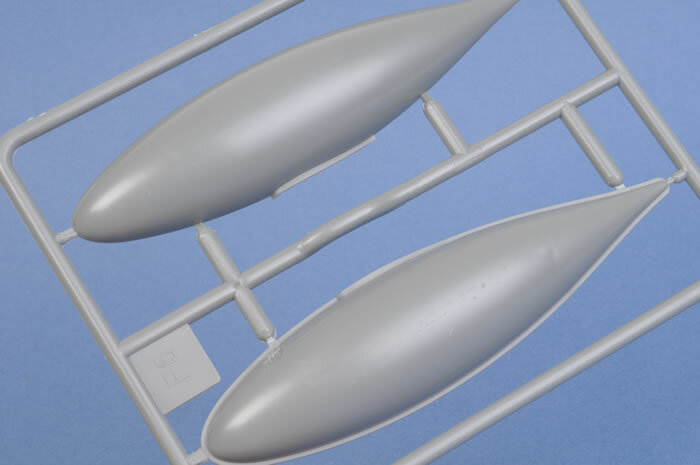 Light sanding and polishing should result in an appropriate surface for a natural metal finish. 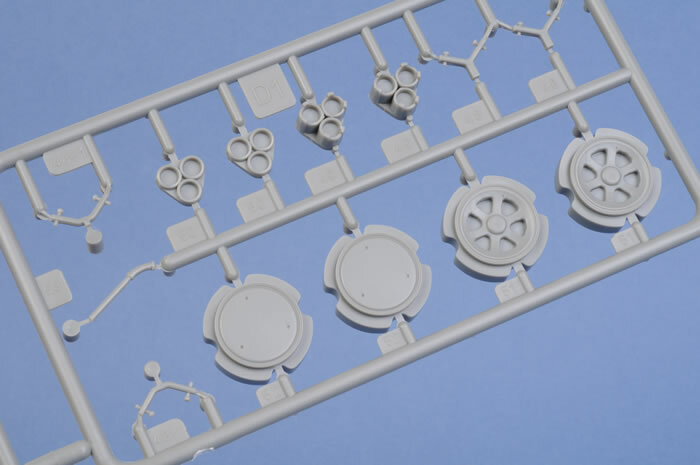 The exterior surfaces feature crisply recessed panel lines plus rows of fine rivets. 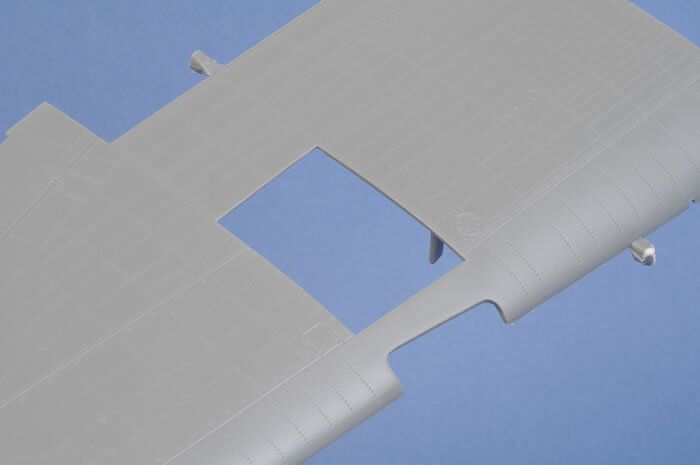 These rivets are extremely fine on the fuselage and only slightly heavier on the wings. 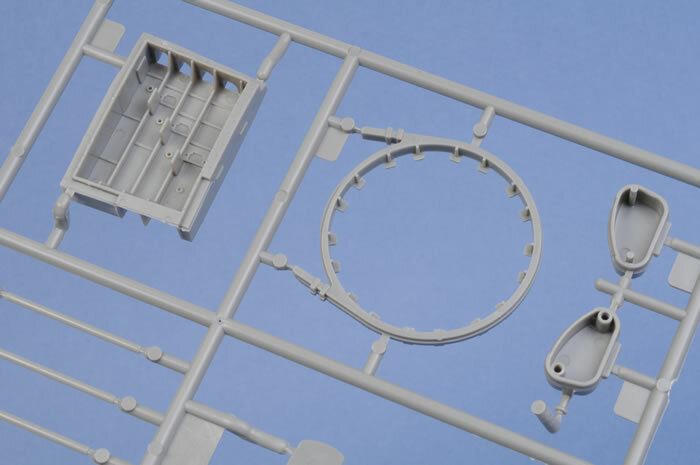 They are subtle enough that they should not be a distraction from the overall shape of the aircraft even under a shiny coat of metallic paint. 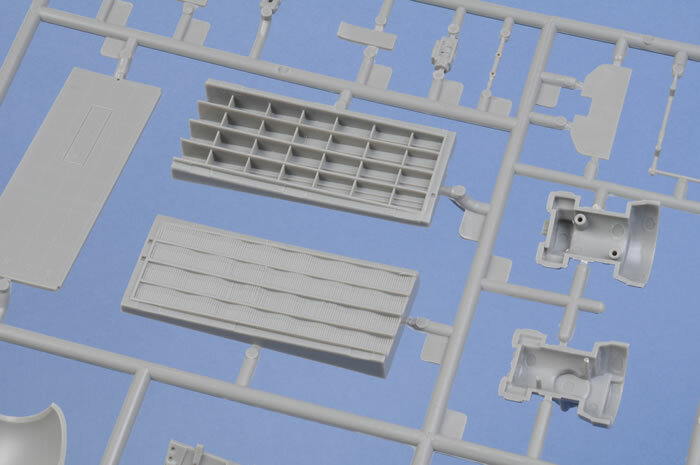 Moulding quality is generally very good. 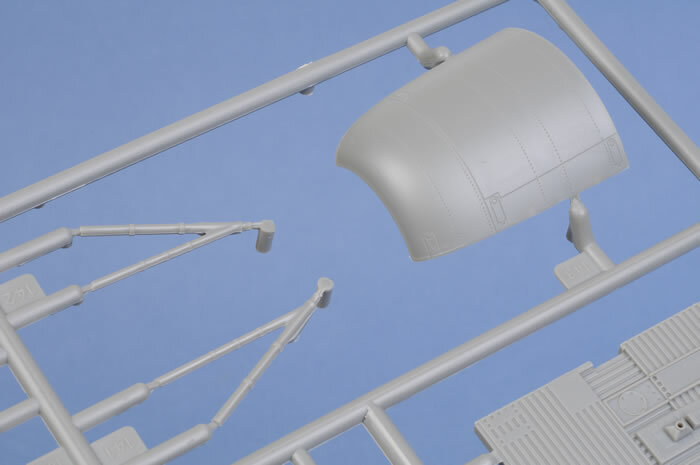 The most noticeable issues are some missing surface detail on both sides of the upper forward fuselage (the detail peters out above the line of the canopy for some reason), and a raised section around the port side supercharger vent (probably the result of a mould insert misalignment). 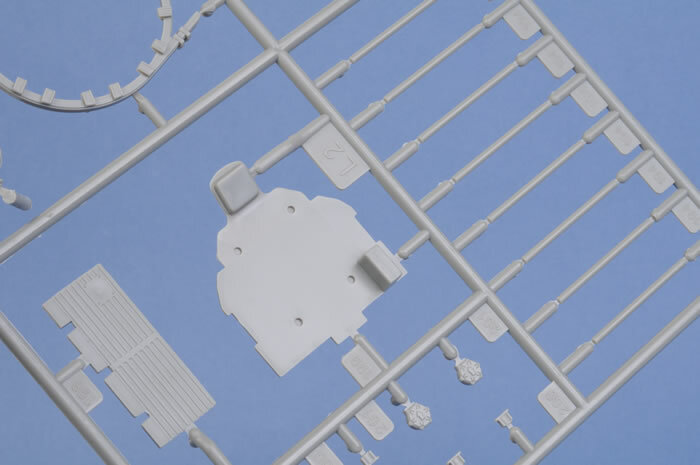 Some of the sprue attachment points are very large, so care will be needed when removing them to avoid damaging the surrounding plastic. 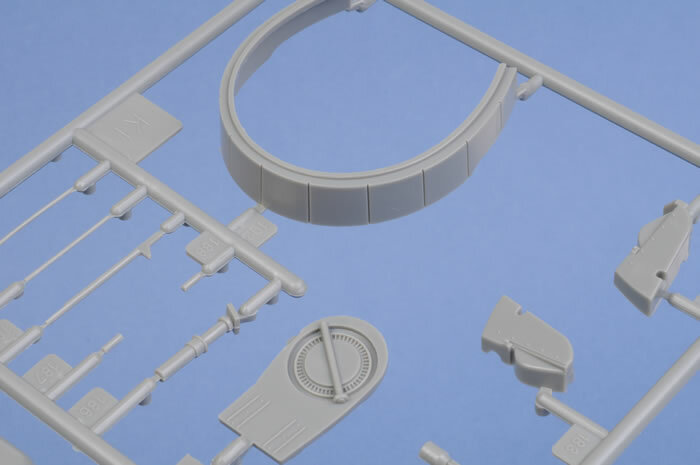 The interior of the model is well detailed, but only in areas that can be accessed. For example. 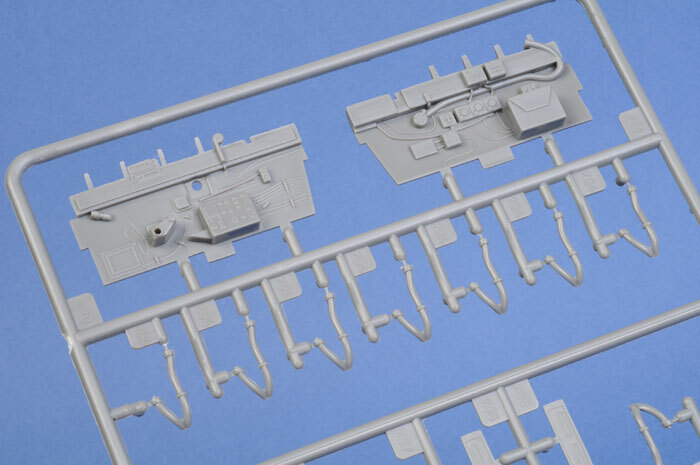 we do not see the mass of supercharger plumbing that was supplied with the 1/32 scale Trumpeter P-47 kits. 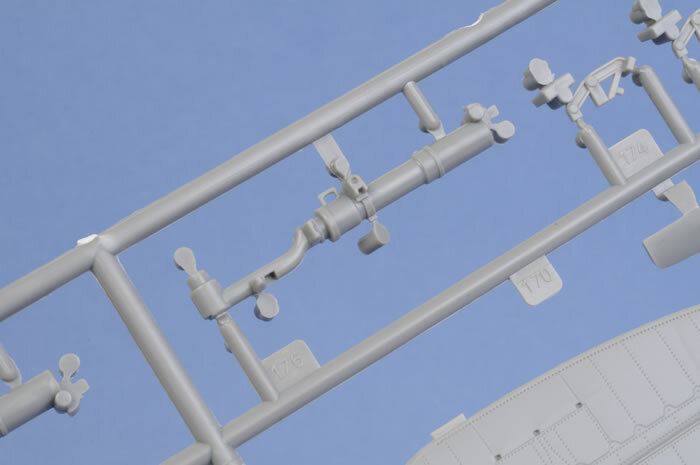 Most modellers will probably breathe a deep sigh of relief, as this will make the construction of VFS's Thunderbolt relatively straightforward. 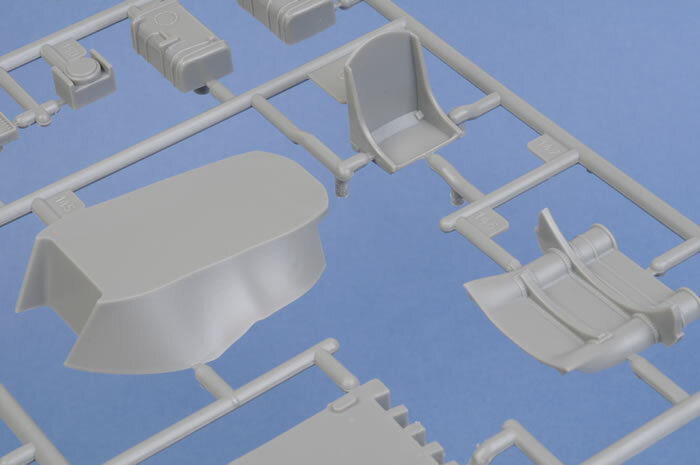 The cockpit is adequate in this large scale, although I think that the sidewalls and seat are a bit underdone. 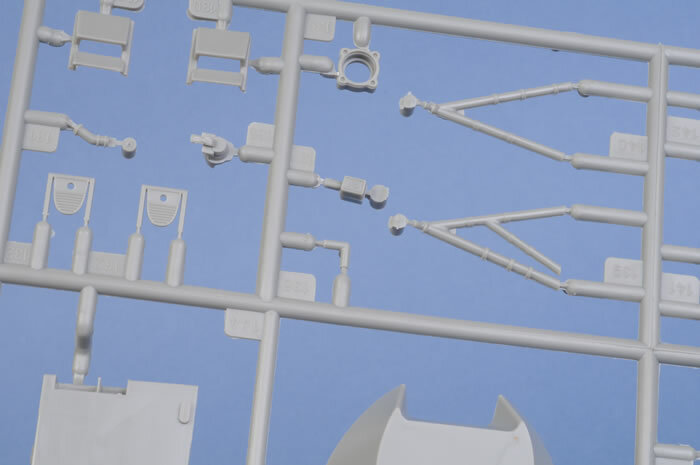 There is certainly potential for superdetailing this area. Harnesses are not provided. 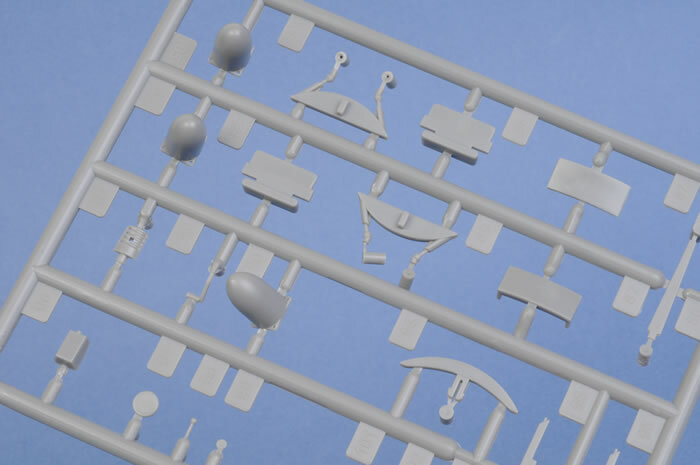 One very nice aspect is the inclusion of both the flat and corrugated floors, making it possible to depict a range of sub-variants. 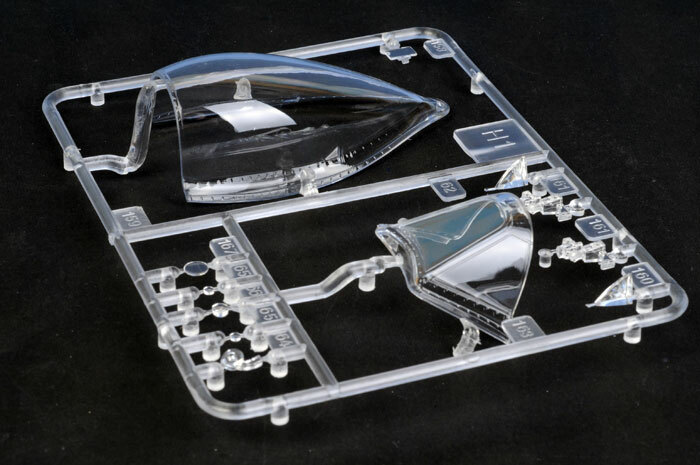 The quadrant with its separate handles is nice too. 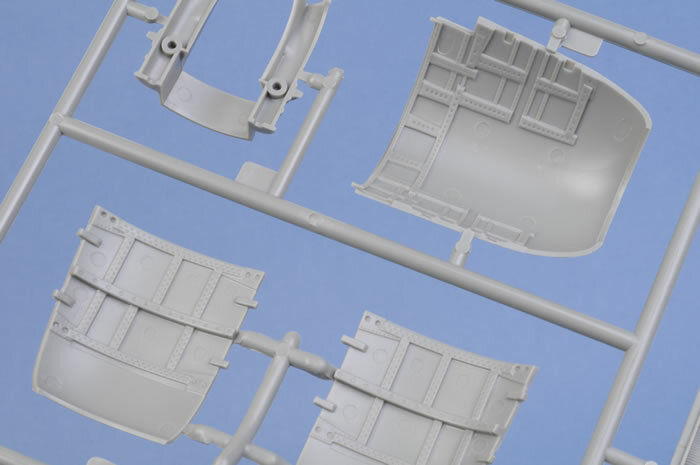 Surprisingly, the cowl does not seem to have been designed to display open, as the cowl ring is moulded to each separate section of cowling side. Some extra surgery will be required to display your Pratt & Whitney masterpiece. 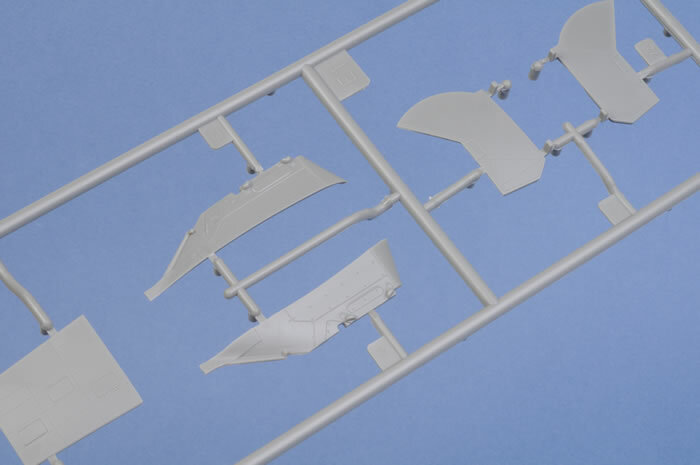 Also surprising considering the large number of options available with the kit, only a single set of closed cowl flaps is supplied. 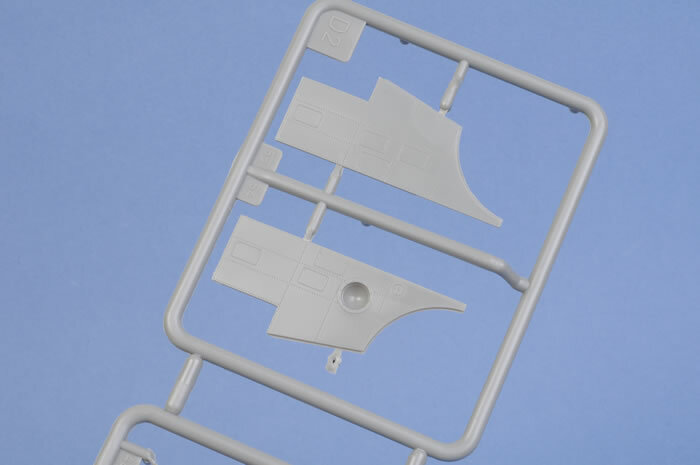 The upper rear deck is supplied as a separate part, suggesting that we might be seeing later variants with fin fillets in the future. 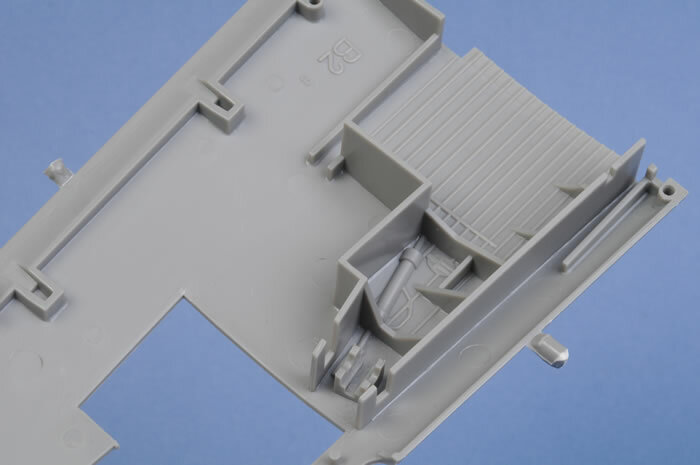 The machine gun hatches are separate on both wings, with detailed .50 cals supplied. 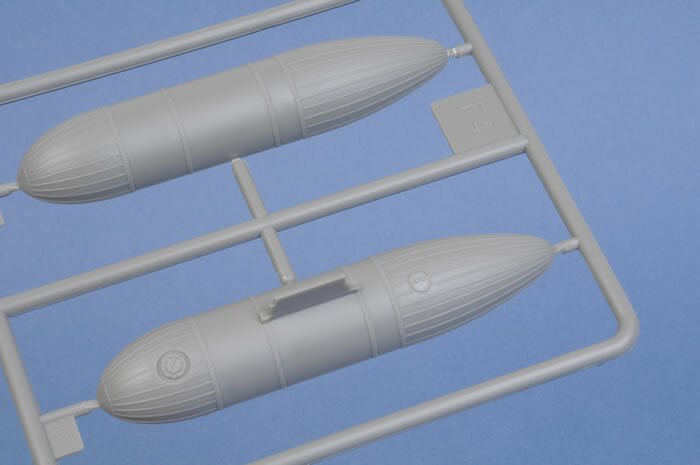 The port wing also offers the option of displaying the long ammunition trays, either full of shells or empty (alternate parts are supplied for this option). 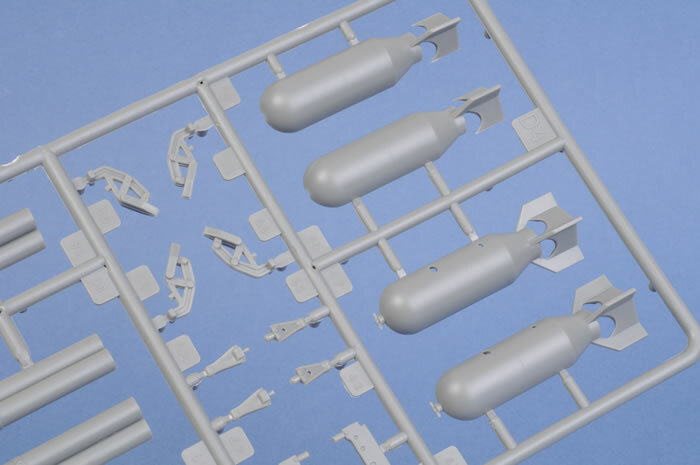 A large number of ordnance options are included, such as bombs, a flat centreline tank, two Lockheed teardrop drop tanks, two paper tanks and underwing bazookas. 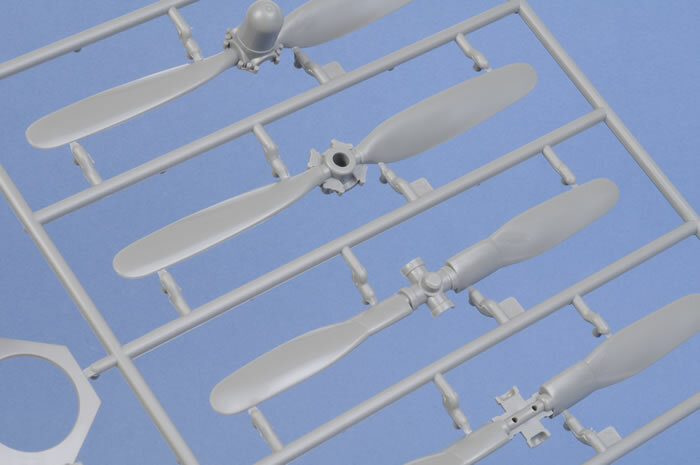 A full compliment of four different propeller assemblies is also included. 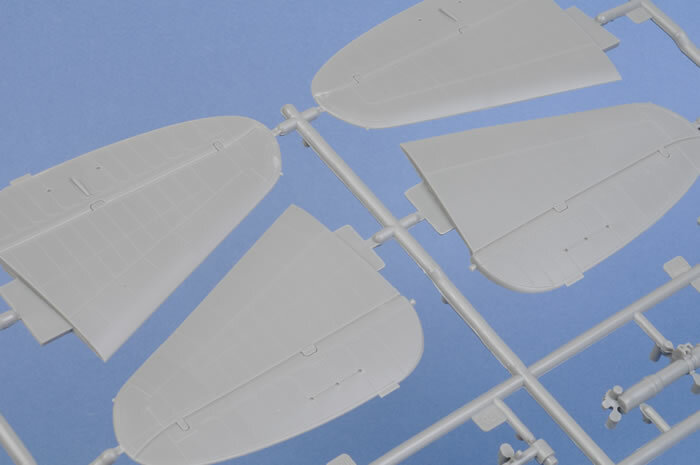 The clear parts are admirably thin and the large bubble top canopy is completely seamless. The main tyres are presented in grey vinyl. 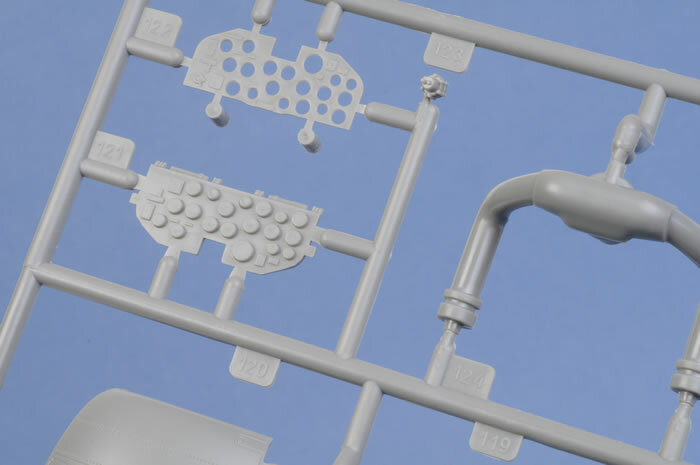 Although the detail is very crisp and there is no centre line seam, the tread pattern overlaps in the middle of the tyres. 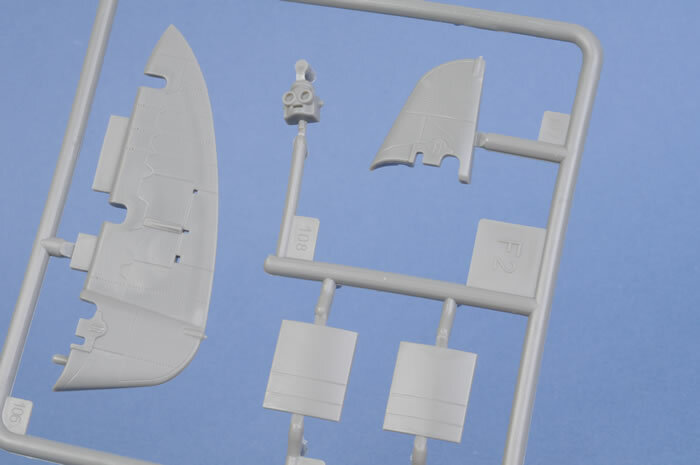 A pilot figure is also provided in the same grey vinyl material. He looks quite good although detail is basic for this large scale, and his sun visor appears to be too small for his head! 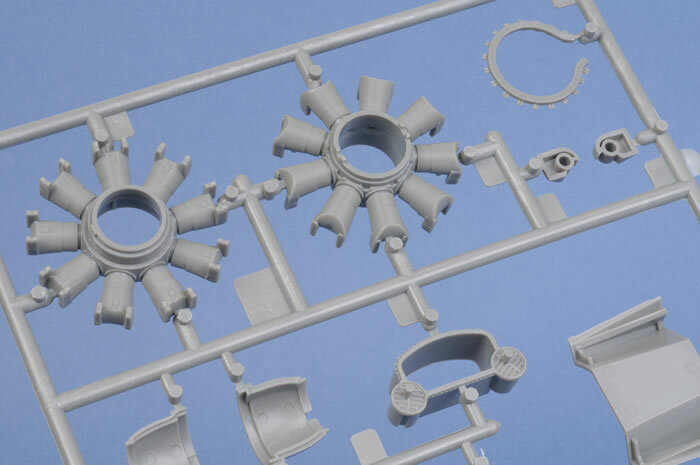 Engineering of the kit is quite straightforward and, in most respects, appears similar to the Tamiya 1/48 scale P-47 family. 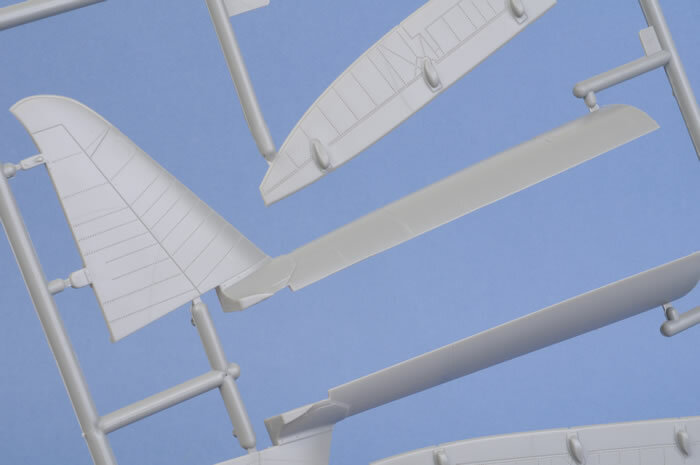 Separate flaps may be depicted dropped or raised, while a number of inserts in the wings will permit later variants with the outboard landing light (although the later inserts are not supplied with this release). 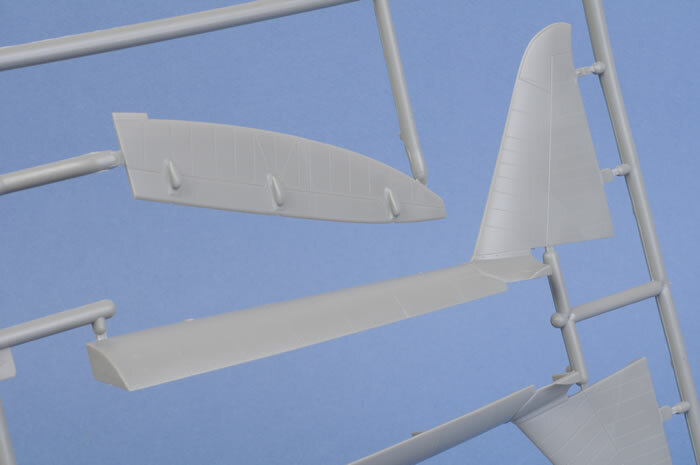 The hinges do not fit into the slots in the wings, so they either need sanding to fit or the slots need filing out for the hinges to fit. The struts from the wheel wells to the main gear doors are too short. 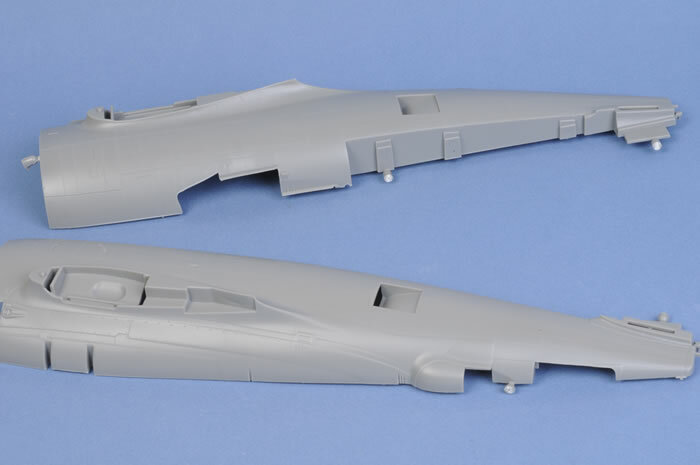 Ray notes that the manufacturer has corrected these problems, which should not be an issue with future releases. 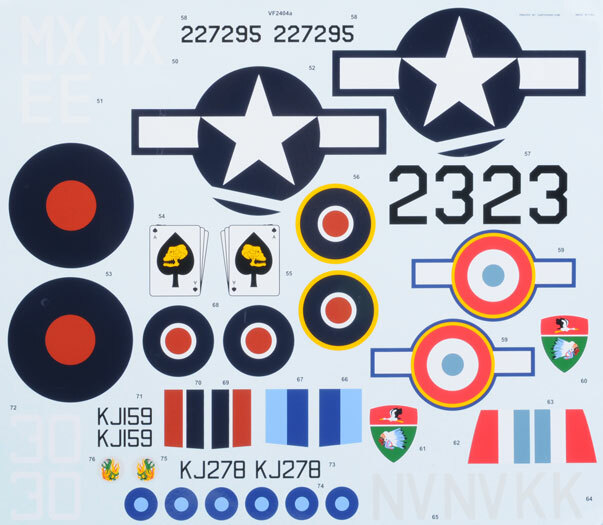 The decals are a real highlight. 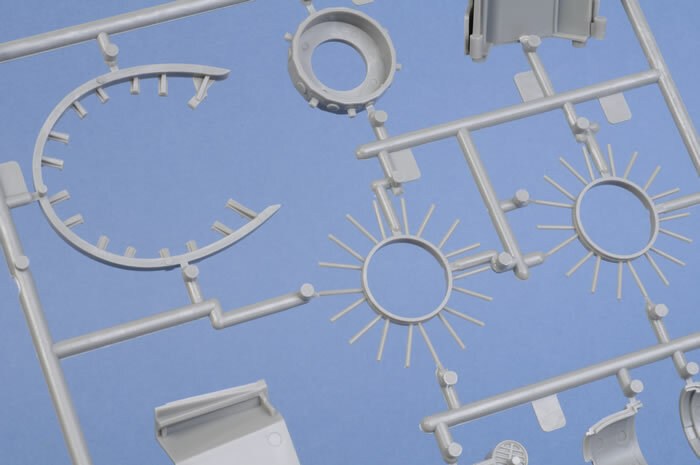 Three sheets are supplied with six colourful and varied options. 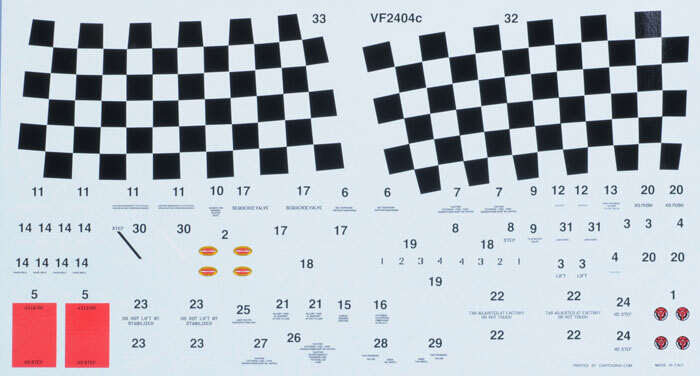 Printed by Cartograf, they are glossy and well saturated. 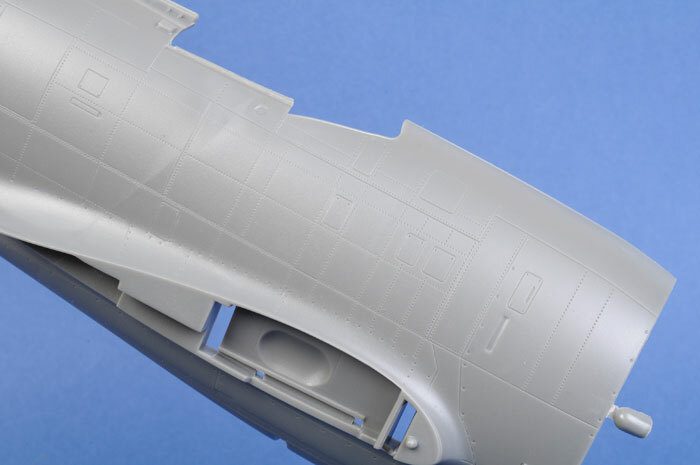 This P-47D is only Vintage Fighter Models' second new tooling, and it is a vast improvement compared to its debut offering - their 1/24 scale P-40B. 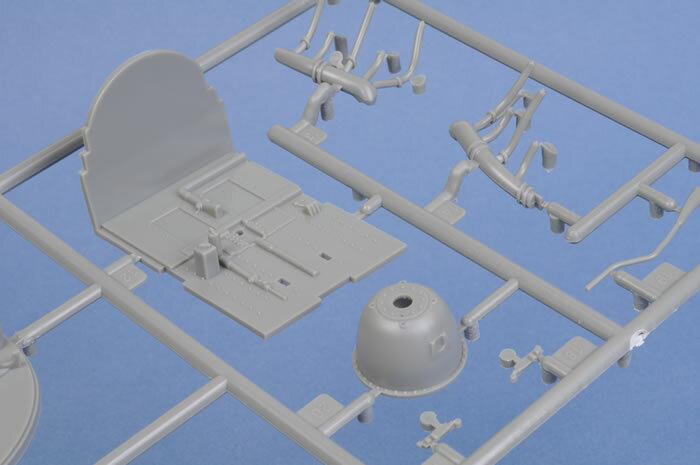 Although there are undoubtedly a large number of parts and options, the engineering of the kit is actually quite straightforward, ensuring that any modeller with a couple of kits under their belt should be able to manage this one without any real problem. 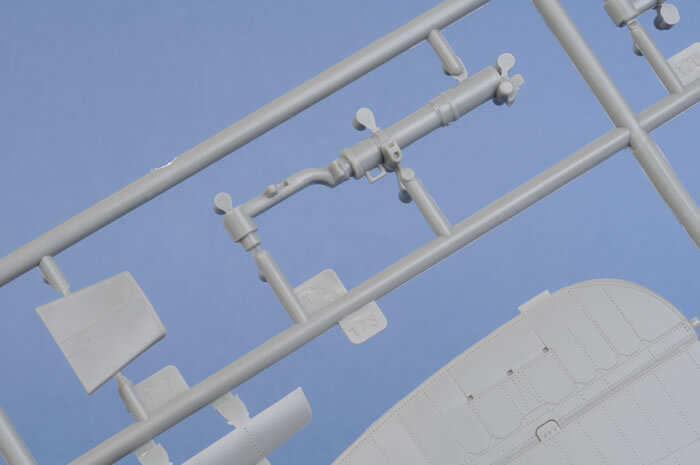 Detail is generally very good but there is scope for adding more, especially in the cockpit. 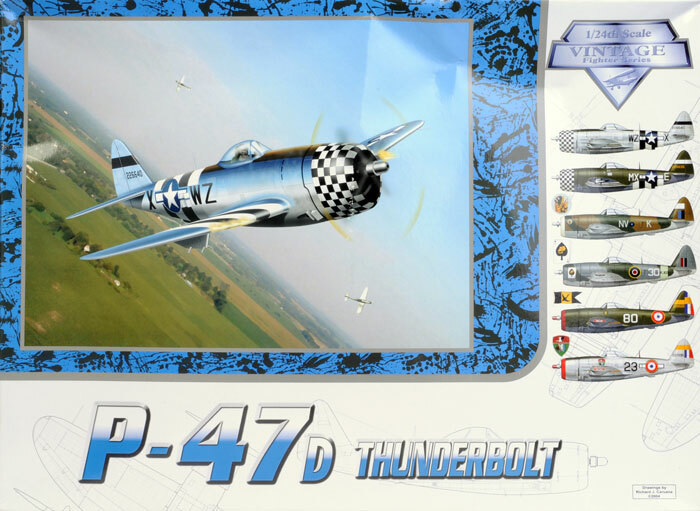 1/24 scale scale aircraft models have been pretty hit and miss over the years, but Vintage Fighter Series' 1/24 scale P-47 is definitely a hit. 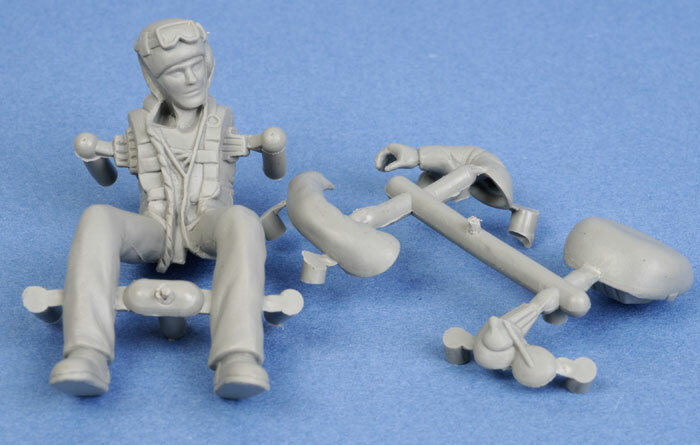 I would rate this as one of the best 1/24 scale ever released - comparable with Trumpeter's Hurricane from last year. 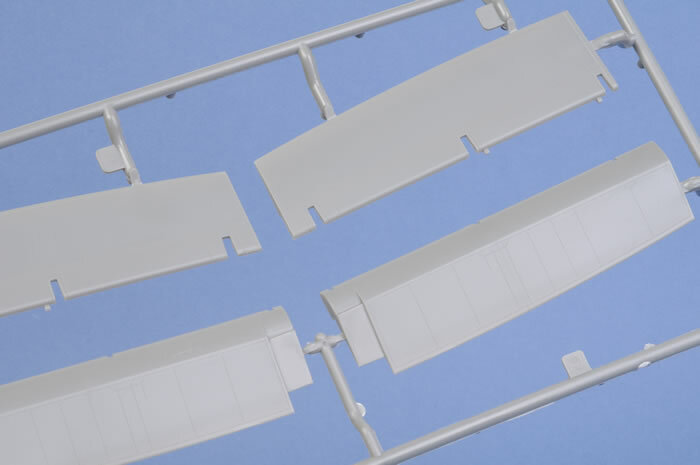 If you are a Thunderbolt fan and have plenty of display space, this one is for you!